Dr. Barnard reveals which foods regularly contribute to pain and how to avoid them. He guides the reader to specific pain-safe foods that are high in nutrition but don't upset the body's natural balance, as well as foods that actively soothe pain by improving blood circulation, relieving inflammation, and balancing hormones. Complete with delicious recipes, Foods That Fight Pain is a revolutionary approach to healing that will transform your life. Product Description: Did you know that ginger can prevent migraines and that coffee sometimes cures them? Did you know that rice can calm your digestion, that sugar can make you more sensitive to pain, that evening primrose can ease the symptoms of arthritis? Dr. Barnard reveals which foods regularly contribute to pain and how to avoid them. He guides the reader to specific pain-safe foods that are high in nutrition but don't upset the body's natural balance, as well as foods that actively soothe pain by improving blood circulation, relieving inflammation, and balancing hormones. 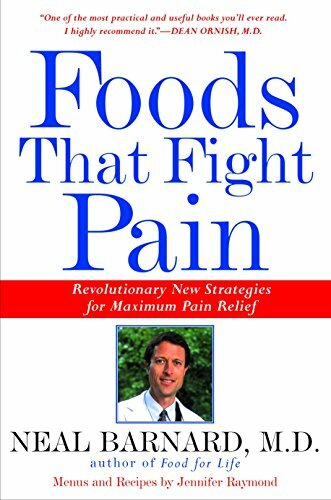 Complete with delicious recipes, Foods That Fight Pain is a revolutionary approach to healing that will transform your life.